Life is full of the unexpected , and the only constant is change. Some men who opt for a vasectomy after they feel they have completed their family, sometimes have a change of heart and feel that they want to have another child – for example, if they get married again. Is it too late for them to change their mind? It’s possible for some of these men to father children by reversing their vasectomy. This is called a VVA - vaso-vasostomy and is best done by a microsurgeon. However, this is technically challenging surgery ( unlike the vasectomy) and the success of surgery is dependent on the length of time between the vasectomy and the reversal as well as the amount of damage to the vas deferens, at the time of the original operation. After 10 to 15 years, there is a significant drop in the chances of success. Even if the reversal surgery is technically successful, there is no guarantee of pregnancy, and that is when IVF comes into the picture. These factors have to be taken into account before the reversal procedure is carried out, and in many instances , ART (Assisted Reproductive Treatment) becomes a much better option. Instead of opting for vasectomy reversal, some couples ( especially where the woman is older) choose to do IVF with PESA-ICSI (intracytoplasmic sperm injection), because time is at a premium for them. • Even after a man has a vasectomy, he continues producing sperm. In ICSI the sperm will be surgically retrieved from the epididymis. • Are there any female infertility issues? 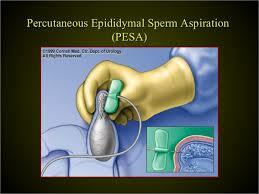 Also, if the vasectomy reversal fails, then PESA-ICSI remains your only option. It’s important that you discuss all these aspects, your medical history and specific situation with an IVF specialist in detail, before you make your final decision. The IVF specialist will assess you and your partner and tell you which option offers the best chance of a successful pregnancy.